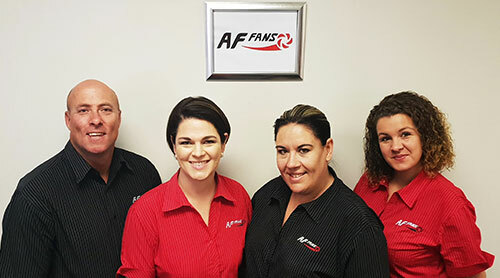 AF Fans was formed in early 2005 to bring high quality, durable, well priced ventilation products to the South African market. Our range of fans are all designed to optimize air flow, give stable operation and minimize noise. We offer quick, friendly, reliable service and advice. 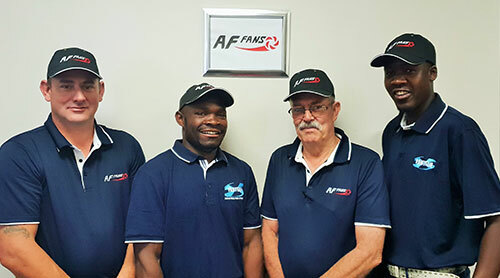 AF Fans is backed by Tech Group who has over 25 years experience in designing and manufacturing industrial fans and air movement systems. Please don’t hesitate to contact us for all your ventilation requirements, be it large or small we will blow you away with a solution! 12 Month warranty on all products and workmanship.